Charles Tamuleviz is a trial attorney defending corporations and individuals in state and federal investigations involving white collar criminal defense and complex civil matters. 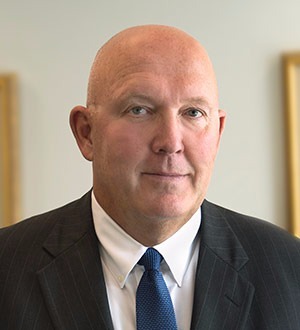 His seasoned judgment and strategic counsel is based on his decades of criminal and civil litigation experience, including numerous jury trials in federal and state courts and extensive experience in the U.S. Department of Justice, including the U.S. Attorney’s Office for the District of Rhode Island. My practice focuses on the representation of individuals and businesses in criminal and complex civil matters, including white-collar criminal defense, grand jury investigations, administrative investigations, internal corporate investigations, and criminal tax investigations. For 14 years I was a prosecutor with the U.S. Department of Justice, including 9 years with the U.S. Attorney’s Office for the District of Rhode Island. I oversaw sensitive and complex federal trials and grand jury investigations involving allegations of public corruption, mail and wire fraud, income tax fraud, health care fraud, bank fraud, and investment fraud.